March 19th 2011 a super "perigee moon" - the biggest in almost 20 years. I located to clear high (120m ASL) spot with a good easterly horizon view with some foreground trees in order to add scale. 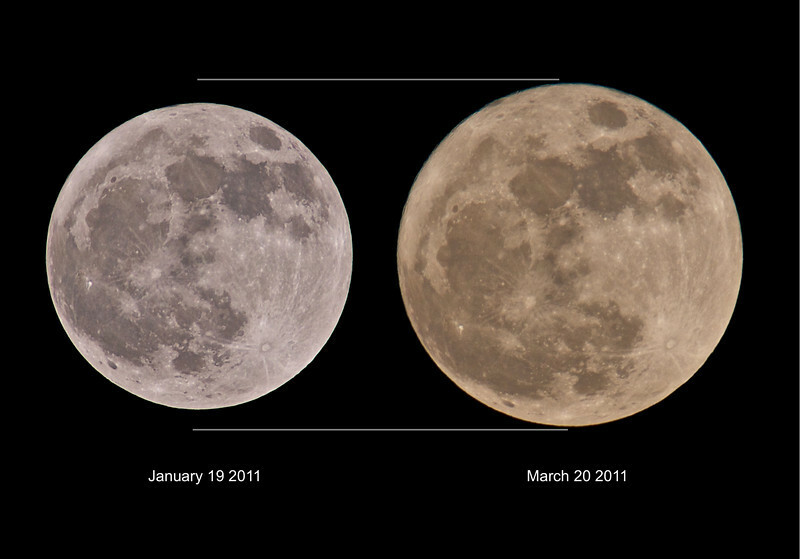 This is a size comparison shot versus a full moon from january this year. Both captured using the Olympus E5/E3 and 90-250mm with x2 TC. The colours of the moon as it dipped above the horizon and moved through the pollution transformed from a blood red to copper orange eventually clearing into blinding white. An amazing moonrise.